Background/Purpose: To compare the clinical efficacy, including inhibition of structural damage, and safety of upadacitinib (UPA), a JAK1-selective inhibitor, as monotherapy, vs methotrexate (MTX) monotherapy, in MTX-naïve patients (pts) with moderate to severely active rheumatoid arthritis (RA). Methods: In SELECT–EARLY, MTX-naïve pts with active RA who were positive for both RF and ACPA and/or had ≥1 joint erosion were randomized 1:1:1 to once-daily (QD) UPA at 15mg or 30mg, or weekly MTX (titrated by Wk8). Separate primary endpoints were ACR50 at Wk12 (FDA), or the proportion of pts achieving DAS28CRP<2.6 at Wk24 (EMA). Secondary endpoints included mean changes from baseline (Δ BL) in modified Total Sharp Score (mTSS) and proportion of pts with no radiographic progression (mTSS≤0) at Wk24. Of 947 randomized pts, 945 received study drug; 840 (88.7%) completed Wk24. ~50% had an RA diagnosis of <6 months and RA symptoms <2 years; Of the 945 pts, 874 (92.5%) had no prior MTX exposure; 706 (74.7%) had no prior csDMARD exposure. Both primary endpoints were met. Significantly more patients receiving UPA 15 and 30mg vs MTX achieved ACR50 responses at Wk12 (52.1% and 56.4% vs 28.3%) and DAS28CRP<2.6 at Wk24 (48.3% and 50.0% vs 18.5%) (Table 1). All ranked secondary endpoints were met: ACR50 at Wk24, improvements in DAS28CRP, HAQ-DI, SF36-PCS, and the proportion of pts achieving DAS28CRP≤3.2 at Wks12 and 24. At Wk24, mean ΔmTSS were 0.14 and 0.07 vs 0.67; significantly more pts had no radiographic progression on UPA 15 and 30mg vs MTX. LDA and remission by various criteria at Wks12 and 24 were achieved in more pts on UPA vs MTX (nominal p<.001 for all). Up to Wk24, treatment-emergent adverse events (AEs) and serious AEs were similar in the UPA 15mg and MTX arms, and slightly higher in the UPA 30mg arm (Table 2). AEs leading to discontinuation were similar across arms. A numerically higher proportion of pts on UPA 30mg reported serious infections vs MTX and UPA 15mg, and there were more cases of herpes zoster in the UPA vs MTX arms. Four malignancies, 4 major adverse cardiovascular events (MACE), and 6 deaths were reported (Table 2). Two venous thromboembolic events were reported (1 pulmonary embolism on MTX, 1 deep vein thrombosis on UPA 30mg, none on UPA 15mg). Laboratory abnormalities were consistent with other Phase 2 and 3 studies with UPA. Conclusion: In MTX-naïve pts, UPA 15 and 30mg QD demonstrated significant and clinically meaningful improvements in RA signs & symptoms vs MTX. Radiographic progression was significantly less with UPA vs MTX. Safety events were consistent with Phase 2 and 3 studies with UPA in RA to date. Disclosure: R. van Vollenhoven, AbbVie, Arthrogen, BMS, GSK, Lilly, Pfizer, UCB, 2,AbbVie, AstraZeneca, Biotest, BMS, Celgene, GSK, Janssen, Lilly, Medac, Merck, Novartis, Pfizer, Roche, UCB, 9; T. Takeuchi, Mitsubishi-Tanabe Pharma Corporation, Janssen Pharmaceutical KK, Chugai Pharmaceutical Co Ltd, Astellas Pharma Inc., AbbVie GK, Eisai Co., Ltd, Bristol-Myers Squibb Company, Daiichi Sankyo Company Ltd, Eli Lilly Japan KK, Pfizer Japan Inc;, 9,Astellas Pharma Inc., 9,Chugai Pharmaceutical Co Ltd, Mitsubishi-Tanabe Pharma Corporation; Grants; Pfizer Japan Inc., Eisai Co., Ltd, Astellas Pharma Inc., AbbVie GK, Asahi Kasei Pharma Corporation, Nippon Kayaku Co., Ltd, Taisho Toyama Pharmaceutical Co., Ltd., Takeda Pharmace, 9,Astellas Pharma Inc., AbbVie GK, Eisai Co., Mitsubishi-Tanabe Pharma Corporation, Chugai Pharmaceutical Co Ltd, Bristol-Myers Squibb Company, UCB Japan Co., Ltd, 9; A. L. Pangan, AbbVie Inc., 1,AbbVie Inc., 3; A. Friedman, AbbVie Inc., 1,AbbVie Inc., 3; M. E. Mohamed, AbbVie Inc., 1,AbbVie Inc., 3; S. Chen, AbbVie Inc., 1,AbbVie Inc., 3; M. Rischmueller, Abbvie, Bristol-Meyer-Squibb, Celgene, Glaxo Smith Kline, Hospira, Janssen Cilag, MSD, Novartis, Pfizer, Roche, Sanofi, UCB, 5; R. Blanco, AbbVie, MSD, and Roche, 2,AbbVie, Pfizer, Roche, Bristol-Myers, Janssen, and MSD, 2, 8; R. M. Xavier, Abbvie, Pfizer, Novartis, Janssen, Lilly, Roche., 5; V. Strand, AbbVie, Amgen, Bayer, BMS, Boehringer Ingelheim, Celgene, Celltrion, CORRONA, Crescendo, EMD Serono, Genentech/Roche, GSK, Horizon, Inmedix, Janssen, Kezar, Lilly, Merck, Novartis, Pfizer, Regeneron, Samsung, Sandoz, Sanofi, Servier, UCB., 5.
van Vollenhoven R, Takeuchi T, Pangan AL, Friedman A, Mohamed ME, Chen S, Rischmueller M, Blanco R, Xavier RM, Strand V. A Phase 3, Randomized, Controlled Trial Comparing Upadacitinib Monotherapy to MTX Monotherapy in MTX-Naïve Patients with Active Rheumatoid Arthritis [abstract]. Arthritis Rheumatol. 2018; 70 (suppl 10). 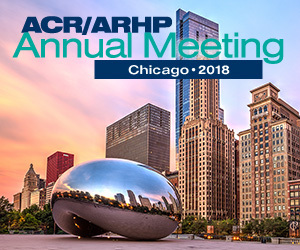 https://acrabstracts.org/abstract/a-phase-3-randomized-controlled-trial-comparing-upadacitinib-monotherapy-to-mtx-monotherapy-in-mtx-naive-patients-with-active-rheumatoid-arthritis/. Accessed April 21, 2019.